I had not planned to make this but with a snow day, I had the perfect excuse to make it for brunch and we loved it. As you can see, this will fill one up. With the potatoes, onions and red pepper added to the eggs, we walked away completely satisfied. The original recipe called for mushrooms but I was out and since we are kind of snowed in, I just ignored them. It lacked for nothing as far as we are concerned. Having an unscheduled day off is a real treat and I think, I used it well. Report cards are due soon so I worked on them. I did some cleaning, I have been putting off and I cooked. I feel accomplished and it is only early, early evening. Coat a large casserole dish with oil spray. Place a tablespoon of olive oil in large skillet over medium-high heat. Cook onions about 4 minutes until they have softened. Add a little water if pan is drying out. Add bell pepper and potato and cook until the potatoes begin to soften, 6-8 minutes. Add herbs and stir well. Reduce heat to low, add spinach and stir just until spinach wilts. 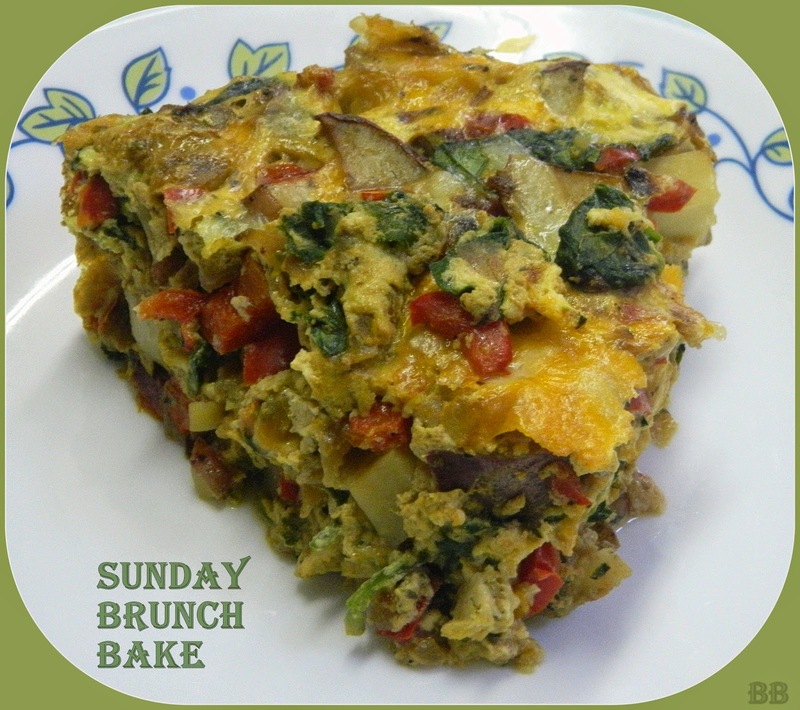 Mix veggies, cheese and egg beaters together and place in greased casserole. Bake 25-30 minutes or until the eggs are set and potatoes are cooked through. Looks so good, I love recipes like this!